Worry about the DDT, because once that hits, that's when the snake comes out. The Switch picks up two major games this week on the North American bent, and we have three reviews for them. Longtime friend of the site Justin Nation and yours truly tackled GameStop-exclusive retail release Has-Been Heroes, while Casey slithered through Snake Pass at a rapid rate. Might want to watch for the rumble on the latter, though Sumo Digital is cranking through a patch for it. There will be an update, but it won't be 13GB. 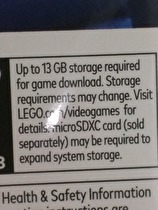 Warner Brothers has issued an updated statement about LEGO City Undercover's size requirements and is blaming misprinted box art for the confusion. No word on localizations yet, obviously. Atlus held their anniversary livestream yesterday which featured a couple of new announcements. Whether you get the card or the initial download, a microSD card may also be required. UPDATED with WB statement. UPDATE: Warner Brothers has issued a statement to Eurogamer stating "Players who purchase Lego City Undercover on Nintendo Switch at retail do not need to download the game to play." Original story follows. Although the eShop may indicate a 7GB download, LEGO City Undercover on the Switch will have a big update coming with it. The Splatoon 2 Global Testfires will commence shortly. The process has apparently been refined. Nintendo has issued an amended comment regarding sync issues with some of the Joy-Con controllers. In a statement issued to Kotaku, Nintendo has identified a variation at the factory level which has been corrected. Includes the end of a long, long streak. This is a week of catch-up for both North America and Europe on the downloads front before things kick into Switch gear again next week. North America is getting New Frontier Days and Othello on Switch, and I reviewed the no-frills board game. Meanwhile, Daan reviewed the week's sole retail release in Mario Sports Superstars and you'll definitely want to scope that one out before going in. The seemingly inevitable has been made official. Another Kickstarter success story has moved from the Wii U to the Switch. For those who missed the initial release, we may have an opportunity for redemption. A late, beloved DS RPG is returning to the scene in Japan this June. Atlus announced Radiant Historia Perfect Chronology in this week's edition of Famitsu magazine. Launching on June 29, the game will be a full remake of the 2011 DS RPG with an additional scenario added as well. Three classic RPGs in various states of English. 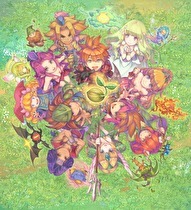 The Seiken Densetsu Collection was announced overnight, a collection of the first three games in the action/RPG series, The first title was released on the Game Boy was released as Final Fantasy Adventure / Mystic Quest and the second as Secret of Mana, while the third game was not released outside Japan and was an early fan translation effort. Hopefully more common than previous Fire Emblem limited editions. Following the success of the Fire Emblem Fates limited edition, there will be one for the upcoming Fire Emblem Echoes. Beware the wrath of Mixmaster Mummy. Nintendo has released two new trailers for ARMS that show off some of the character and attack options in the fighter. The attack trailer shows gloves with different elemental and attack properties and reveals that the gloves can be mixed and matched, while the character trailer shows off five different characters. Coming with a 2.0 update. 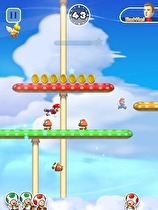 The iOS monopoly on Toad Rally appears to be ending next week. Nintendo's Japanese-language Twitter account has announced that Super Mario Run will launch on Android next Thursday (March 23) in the Japanese Google Play store. If Switches still sell out on Amazon in a couple of seconds, it won't be for lack of units. The Switch has launched with sales not seen since the Wii, and Nintendo appears to be ready to take advantage. A bounce-back performance from the 3DS and a solid performance for a former Wii U title marked the final NPD sales survey for Nintendo before the Switch. On the hardware front, the 3DS was up 77% over January, thanks to strong performance of the Pikachu New 3DS that went on sale during the month. NES Classic and final Wii U numbers were not available, and Switch launch numbers in the United States will come with next month's report. Mania will be getting some additional touches. Sega held a panel today at the South by Southwest (SxSW) festival in Austin, TX and provided updates on two upcoming titles. The 2D retro remake Sonic Mania was announced to be coming out in summer for the Switch, a slight delay from the game's original Spring release. The panel also saw the debut of the Flying Battery Zone, which first debuted in Sonic 3 & Knuckles. For a smoother gameplay experience. A couple of Switch download games have received updates for longstanding issues. As promised last week, the update for Blaster Master Zero that enables support for the Pro Controller is now live. The 1.1.0 update is required to get the Pro running. Hamster has also updated all of the Arcade Archives titles to provide additional filtering and scanline options. The default option has also given a higher brightness setting. By special request this week, we've added a 3rd region to the report as Japan('s Switch games only) are now available. As a reminder, setting up a foreign eShop account is simple and easy for the Switch. Switch version slightly more expensive, we have a comment from the publisher. RIME will be coming to the Switch this summer, with a physical option - but a bit later than other consoles. Grey Box, the company handling publishing duties for the title, announced the Switch release for "shortly after" a May 26 release for PlayStation 4, Xbox One and PC. A physical version of the title will be available for $39.99/€44.99/£39.99 while the PS4 / XB1 physical releases will be 10 dollars/euros/pounds less.